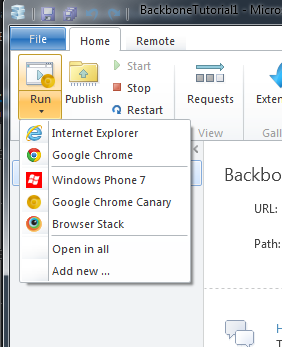 I use the Canary build of Google Chrome as my main browser so I finally got frustrated and figured out how to launch it from WebMatrix. Well, it turns out you have to write some code! The code’s pretty simple, it took longer to make a pretty icon and upload it to the gallery than to write it. Let’s see if anyone downloads it. So I haven’t run Linux in a few years and I’ve heard that Ubuntu was the latest in Linux hotness for the desktop so I thought I’d give it a try. It wasn’t too hard, I went over and downloaded VirtualBox and grabbed the Lucid Lynx VirtualBox image of Ubuntu and fired it up. It worked. The whole process took about 30 minutes. I first installed Linux in the fall of 1996. Apparently when I had a lot more time on my hands than I do now. 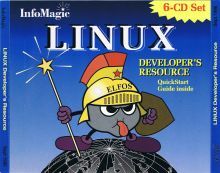 There was a local discount computer outlet in my ‘seen better days’ mall near the family home that had the “InfoMagic Linux Developer’s Resource 6 CD set”.I remember thinking: “Wow! are there really 6 CD’s in there?”, and only $22. Now the internet thing was around in 1996, and I had a dial-up account through the university, but downloading a Linux distro of even moderate size on a 14.4 K Baud modem was not really going to happen (especially since our connections had a max connection time of 1 hour). Installing Linux meant selecting a distribution, there was Red Ht 3.0.3, Slackware 3.1, and Debian 1.1.4. I chose Slackware because it used the ‘new’ 2.0 kernel. Installing meant pouring through pages of “how To” guides on partitioning hard drives (especially enabling support for my ‘large’ 750 MB hard drive), getting a loader setup to dual-boot Windows 95, and being scared to death of screwing up and erasing Windows. Slackware was partitioned into 1.44 MB (floppy) sized chunks labeled A, B, C.. and what seemed like thousands of options during the install process (do you want Klingon fonts with that?) 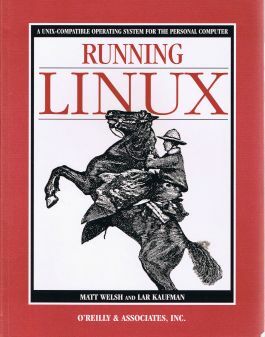 and in the end I got a scary looking command line, which sent me back to the store to buy the first edition of Running Linux. This is how I got my first exposure to Unix like systems and learned the basics of system administration. It took many late nights getting X Windows setup and running. You had to use utilities to figure out compatible dot timings for your video card and monitor and edit the XF86 config files, and hope you were lucky enough that there was a driver for your exact model of video card. It was great fun. I’ve installed and played with Linux off and on over the years and even used it on a project at work for a year or so. These days, I don’t really have much of a compelling reason to touch it, any UNIX utilities I want or need are either available, or can easily be compiled using Cygwin. Now Linux just works. It’s easy. So I’m going to move on. But, not everything is without pain. You need the latest 7-zip 9.16 beta to unpack them. So far, it seems to be an easy, fast way to get a local endpoint up and running that I’m using for returning fake responses when developing with ASP.NET. I’ve been trying to get up to speed on ASP.NET MVC. Very cool so far. I started with the free ASP.NET NerdDinner tutorial, and moved on from there. I love the tutorial, it’s very detailed, and yet short. Also, it’s been subject to intense scrutiny and review that has provided a great wealth of learning, beginning with Ayende’s review on NerdDinner. Jimmy Bogard has some criticisms about the ‘poor man’s dependency injection’ in the application in his How not to do Dependency Injection post. This led me to the Matt Hinze post on AutoMapper in NerdDinnner (I finally get what AutoMapper is all about). Which of course led me to ASP.NET MVC View-Model Patterns . Finally discovered a post titled ASP.NET MVC Best Practices. I haven’t checked it out yet, but while I’m generally not a fan of screencasts, I plan on watching Roy Osherove’s video review of the tests in the NerdDinner source. 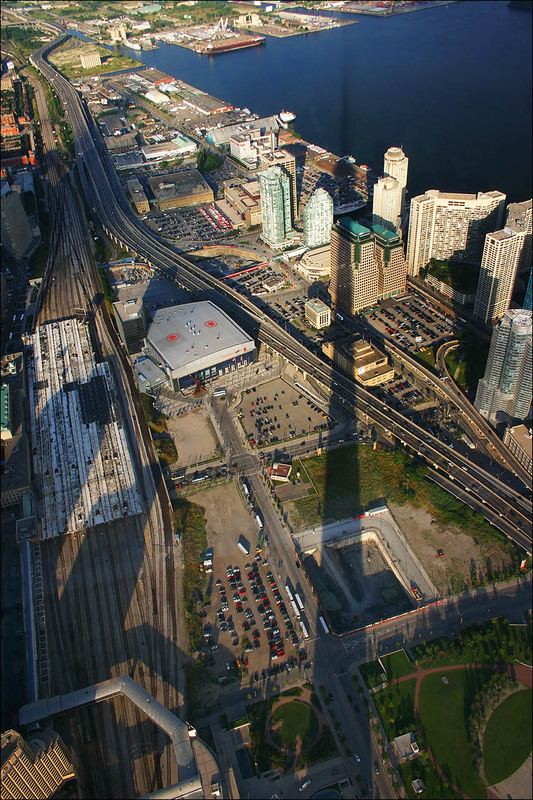 I had the pleasure to attend the fourth annual Toronto Code Camp over the weekend. It was my first code camp and I found it hit and miss. The quality of the presentations varied greatly. Having used WIX in a couple of projects, I was hoping to get something good out of this presentation. Colin was an excellent speaker and covered the basics very well. However, his coverage of patches was worth the price of admission alone – and would have been invaluable last week. The session was an end to end coverage of Wix from the first installer, to patching, to upgrading. Definitely focusing on breadth rather than depth. Having seen a presentation by Scott Hanselman on Data Services, I’m not sure what I was expecting to get out of this one. I’m facinated by the technology, but have no practical use for it right now. This stuff seems to sink in more the second time around, although I think I’ll really have to code it to ‘get it’. Krista admitted she was a first time speaker and although she was clearly pretty nervous, I thought she did pretty well. I’m still confused about the security story surrounding ADO.NET data services, but otherwise the technology looks very cool. This was the best presentation of the day. At the beginning of this one, I was thinking crap, he’s just going to say use layers and unit testing, but he really focused on designing what he called the ‘velcro’ between layers in an architecture. He’s from Montreal and has a podcast in French. Being a big podcast listener I’ve already checked it out and it sounds great! These Quebecquois get going a little fast for my Ottawa bred and France trained ears but the content’s great. Another excellend presentation. Again, LINQ is something that I’ve been following for a while. I’ve used it in one project, but I really haven’t gotten the chance to really dig deep. Jonathan did a great job providing info on how it works, touching on pretty much all the areas. I was looking forward to this one. I’ve been looking at Prism and MVP patterns as a way to solve some of the isses I had in WPF in my last project. What amazed me is that this guy was a second year university student presenting to a bunch of professional developers. The kids got more balls than I do now. I think he’s going places, but his presentation a little more suited to a classroom environment that conference, but I’m sure he’ll improve quickly. I left early to get home and see my kids so I never got to see the meat of this presentation, but the pacing was off, and there was too much PowerPoint. Next time I’ll choose sessions based more on their speakers rather than the topics. I’m undeciced if I’ll attend again, the day was the most beautiful day of the year and I spent it sitting listening to programming talks with a bunch of nerds (especially that guy over there, wait, that’s a mirror).